Congratulations card for any small or big occasion in life. 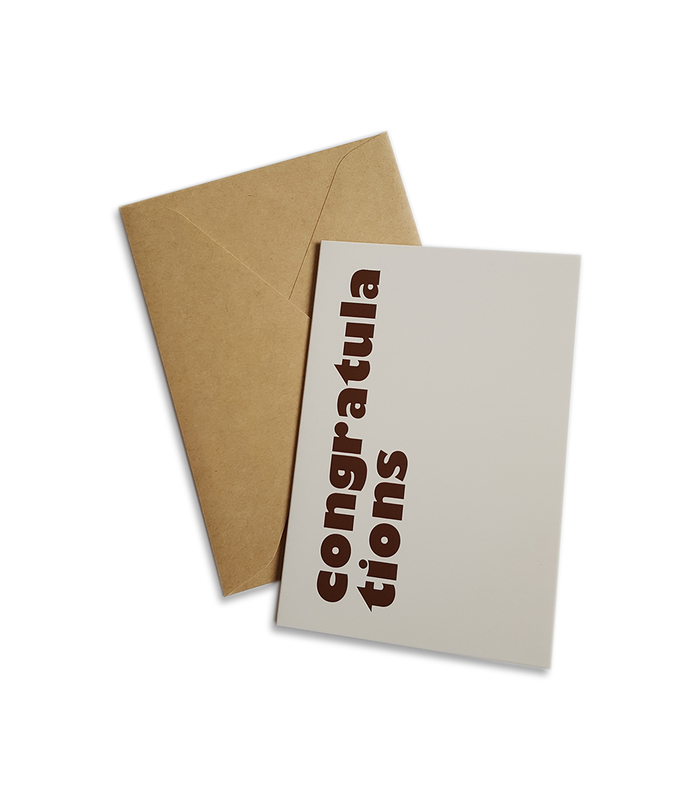 Folded card with brown congratulations text on the cover. It comes with a kraft coloured envelope.